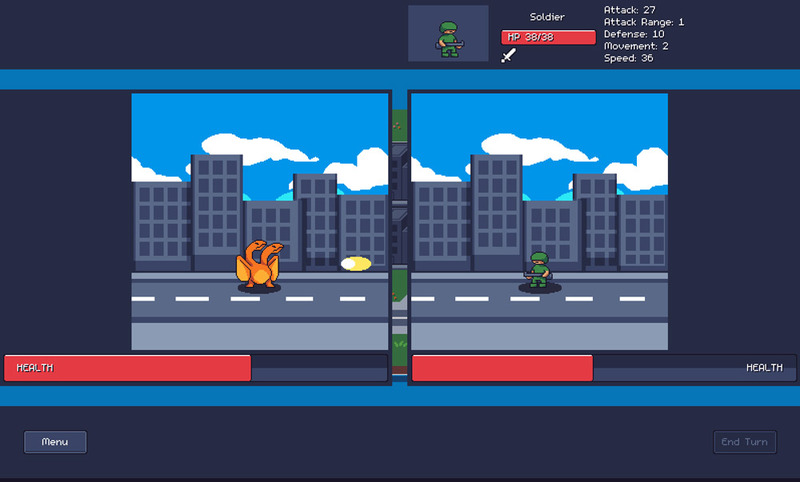 "A bright and cheerful turn based strategy game"
Monster Tactics is a turn based strategy game where you can choose to play as either a group of monsters or humans, as the monsters you control four brightly colored and individual monsters or you can be the humans where your characters include a soldier, a tank and a helicopter. The game in essence is very simple however it’s not as easy as the bright colors and youthful look of the game would have you believe and even after wed played a few games had managed to lose to the humans each and every time, although it was running close in those last few games! 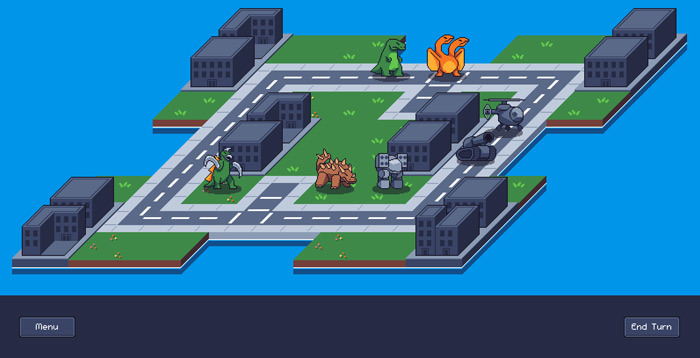 There is a variety of different maps available to choose from although the differ a great deal aesthetically you may find some of them make Monster Tactics a bit easier and may mean that you have a chance to take down those humans (or monsters depending on which team you choose to play for). An enjoyable, bright and inviting game that will appeal to young strategy game fans however it does at times feel as if there is something missing that could have changed this game from great to good. 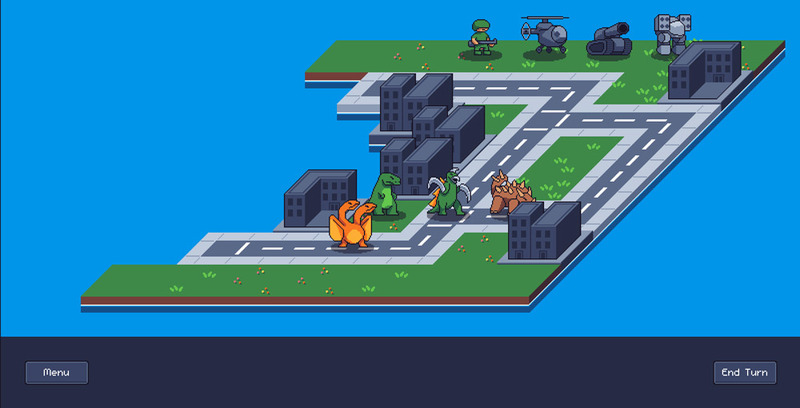 You can download Monster Tactics here for free.